ATL newcomer, Law, recruits Gucci Mane for his new single "Know Me." 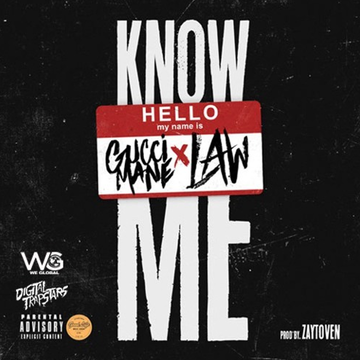 Produced by go-to hitmaker Zaytoven, “Know Me” is an anthemic street banger that is full of sports references, with Gucci self-proclaiming himself as David Beckham & “Gucci” Westbrook, while Law likes to run plays like Kyrie Irving in the process. The track will see life on Law’s upcoming project No Love.